sunshine blog » Spotlight: Tampa, Florida. Most visitors descend upon Florida with one goal in mind: to beat down Mickey Mouse’s door. And while it’s not exactly my cup of tea, I can’t deny that for a mouse, he does a pretty good job of putting on a good show. But if you’ve had enough of the crowds and queues, why not explore further, because Florida has a lot of great experiences. For me, though, one of my favourite cities is Tampa. It’s got a great nightlife vibe, but at the same time is relaxed and no-nonsense. It’s not a beach town but you can easily hit the gulf in about 45 minutes (and the beaches there are incredible), so you can work on your tan after a long Tampa night. Here are a few highlights to tempt you. 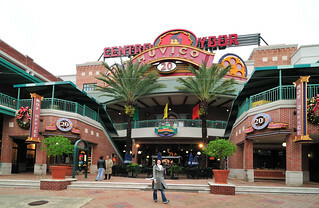 YBor (pronounced “ee-bore”) City is what most people think of when they think of Tampa. It’s similar to what you’d find in Key West – a street filled with every type of bar, club, and live music venue possible. YBor has a lot of older buildings, which makes the vibe very cultural, unlike the more “plastic-y” strip malls you find elsewhere in Florida. Another reason I like YBor is because it isn’t just one big bar crawl; there are some delicious restaurants here, particularly Cuban – which has a huge influence all throughout Tampa – and many of the live music venues have some big names that come through. Definitely spend some time here, though be careful not to choose a hotel right on the strip unless you want to be in the action, as it does get noisy, particularly on weekends. * Busch Gardens – this is actually both an amusement park and a zoo. I didn’t see much of the zoo but everyone raves about it. I stuck to the park area, which has some first-class adventure rides. * Florida Aquarium – As aquariums go, this one is pretty cool, as it gives you a fantastic explanation of how the world’s water system is interconnected, from rain to plumbing to swamps to evaporation. A must if you are travelling with children. 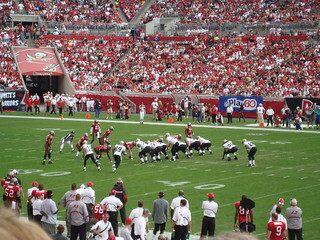 Sports lovers might also want to check out a few of the Tampa teams – nothing like watching a game with a beer and sitting in the sun! There are the Tampa Bay Buccaneers (American football, Aug-Jan), Tampa Bay Rays (baseball, Apt-Sept), and Tampa Bay Lightning (ice hockey, Oct-Jun). It’s not all city life, though. 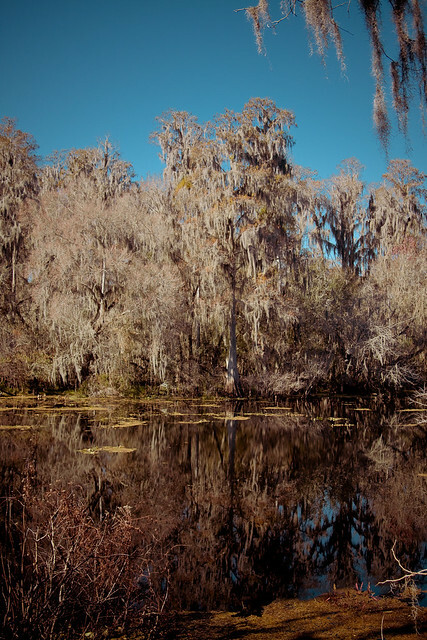 Take trip over to Lettuce Lake Park, where you can get a glimpse of what Florida used to look like. Much of Florida is practically swamp – the water table is very close to the surface, so here you can see what the land is like without homes on it. There are miles of boardwalks that twist and turn around trees that are hundreds of years old. Stick to the paths, though, as Florida’s original residents make their home here: alligators! There’s also plenty of other wildlife that’s not quite so lethal. As I mentioned earlier, if you want some sand in your toes, the beaches of the Gulf of Mexico are only about 45 minutes away. Tampa is on the inner coast of Florida, but it’s set inside of a bay, so it’s not along the ocean. Heading to Clearwater is definitely worth it – as the name implies, the ocean is a wonderful turquoise blue and the beaches are white and soft underfoot. It’s very lovely. Unfortunately, as of publication, it isn’t clear whether the beaches here have been affected by the oil spill, so you might want to check with your accommodation in Tampa before heading over.